12 May What Is a Hard Money Loan? For a commercial hard money loan, the lending decision is based on the “commercial asset” as opposed to relying heavily on a borrower’s credit, financials, etc…Although most hard/private money lenders will want to see some financials, tax returns, and credit, the overall decision is based on the quality of the deal not the financials of the borrower. Buyer be warned though that hard/private money lenders do look at those things like credit, financials, experience etc and those factors can determine what rate/terms are offered. The term “hard money“ comes from the fact that a loan will be secured by a real, tangible asset. More often than not, this asset will be in the form of real estate. In that sense, a hard money loan is generally a short-term, higher-interest funding opportunity that needs to be effectively handled and managed. Seasoned real estate investors use hard money as a “tool” in their borrowing tool belt, knowing that it is much cheaper to use hard money than to take on an equity partner. It is also much safer to use other people’s money and keep yours for emergencies. As long as you can factor the costs into the deal and the numbers still work, private money is a very viable option for investors of all levels. 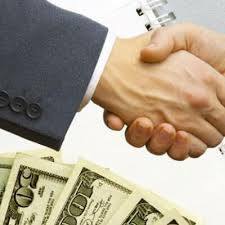 Essentially, a hard money lender is any company or person that has extra money to lend. Although there are many unique circumstances regarding the terms and conditions of a hard money loan, put simply, hard money lenders will not offer a large cash amount without the borrower having specific assets, such as a home or property they can use as collateral. Typically the private/hard money lender will take “first position” on the note and offer you a mortgage like a traditional bank would. After you approach a hard money lender, they will then calculate the loan-to-value ratio. The higher this ratio, the more difficult it can be to obtain a loan. For example, say you require $50,000 in order to make a $90,000 investment. Your ratio will be $50,000/$90,000 x 100, which equals 55.6 percent. To the lender, this means that they will need to lend you 55.6 percent of the total cost. This is a very important point to mention; ask what LTV (loan to value) the lender will go up to. Most want to be in the 55-65% range, but here at Summit Capital, we will go higher to the 70-75% LTV range, giving our borrowers more capital, using less of their cash so they can do more deals! How Can Hard Money Lenders help you? For starters, these loans are often given out very quickly — typically within 15-30 days. When compared to an average of 45 to over 60 days when borrowing from a bank, this turnover time is very attractive. If you need cash fast, this approach can be an optimal choice, especially in terms of investment opportunities. Unlike when you borrow from traditional lenders, you can typically get a loan without as many regulations and limitations. With that being said, hard money loans are not typically the best idea in relation to long-term investments. If you need to make an initial purchase or would like to make a fast investment, then this is when you should consider a hard money loan. Typical Hard / Private Money loans have terms of 6-12 months. If you will need longer than that, there are renewal fees and points could be charged, so on those longer loans, private/hard money may not be the best option. As long as you use a hard money loan properly, in addition to ensuring due diligence throughout the lending process, this option can provide you with a great business opportunity. Don’t be shy to ask a question and really get involved, understanding the full conditions of your agreement. Hard money loans can be highly beneficial across various situations. While these loans are not ideal for every borrower and every situation, when used properly, they can help you make excellent returns on your small business ventures and investments. Give the experts at Summit Capital Management a call to discuss further!